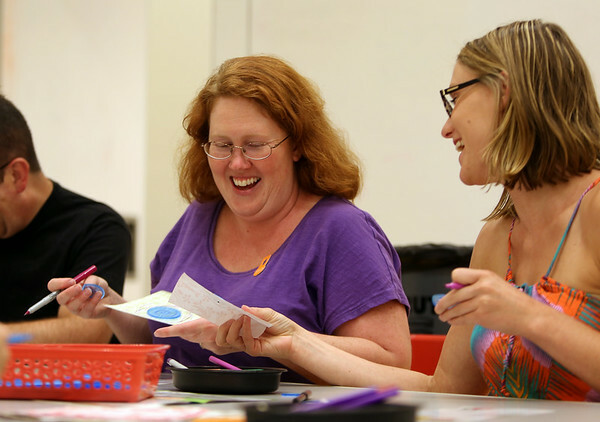 Heather Lang, left, and Holly DeHaan, both of Salem, smile as they compare their Spirograph Art during PEM PM at the Peabody Essex Museum's Throwback Game Night on Thursday evening. DAVID LE/Staff photo. 8/21/14.